Art Sung - Alma Mahler is a programme devised by the pianist Elizabeth Mucha which explores the life and music of Alma Mahler, wife of the Gustav Mahler and subsequently wife of the architect Walter Gröpius and the writer Franz Werfel, as well as the lover and muse of the artist Oskar Kokoschka. The programme was originally presented last month at Music at Woodhouse, and we caught a private performance in London last night (4 July 2016) in aid of Cancer Research. We heard a sequence of songs by Alma Mahler, her husband Gustav Mahler, and Alexander von Zemlinsky & Hans Pfitzner, both of whom were admirers, performed by soprano Alexandra Weaver and baritone Robert Rice accompanied by Elizabeth Mucha. These were linked by dramatised readings from Alma's diaries and memoirs read by the actress Sandy Walsh. The whole created a dramatic sequence which explored the young Alma through her music. Often her own songs were written to reflect her state of mind, and both Mahler and her admirers wrote songs for her. Occasionally we heard music to which she referred in her writings, such as Schumann's Mondnacht and Frühlingsnacht and two of Wagner's Wesendonck Lieder. The evening opened with Beethoven's Der Kuss, not strictly relevant except that the artist Gustav Klimt snatched a kiss from the young Alma, and whilst it was being sung Klimt's famous painting was projected. Throughout the evening each song was accompanied by a projection of an image or a painting. Some were simply evocative of mood, but most were linked to Alma and her circle, and we even had Alma's descriptions of some of them. 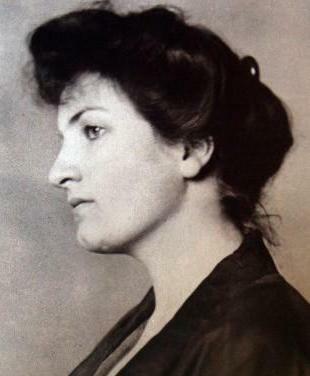 Alma Mahler wrote around 100 songs, composition was important to her despite having to give it up when she married Mahler. Her songs reflect the complex influences in Vienna at the time, 1890s, early 1900s, (Arnold Schoenberg even painted a picture of Mahler's burial). This was a challenging programme; Alma Mahler's music is not easy parlour music, but breathes the same complex atmosphere as early Berg. The two singers navigated the challenges bravely, with fine support from Elizabeth Mucha and along with Sandy Walsh created an engaging multi-media event.